I could probably piggyback a Brain Pickings post at least once a week or so. It's surely one of the finest blogs on the internet and a must-read if you aren't already into it. Watts is undoubtedly one of the all-time great Western scholars on Eastern philosophy and this brilliant little book is essentially a philosophical lecture on the Hindu Vedanta perspective of the universe and man's place in it, explained in the most basic terms that a child could understand. It also serves as a nice summation of Watts' work as whole. 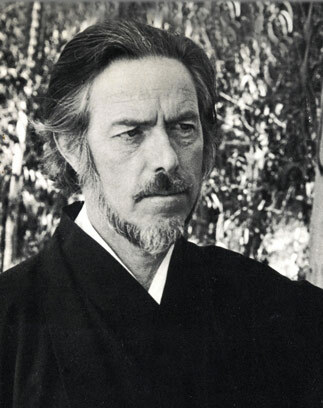 There is a great collection of over thirty Alan Watts audio lectures on iTunes that I purchased a while back and I find myself coming back to these lectures over and over again for their soothing eloquence, humor, and Watts' unique combination of scholarship and wisdom. It's safe to say The Book is a distillation of his philosophy into a very compact, accessible format. Great attractive and informative story, i got huge of important idea from your post. A big thanks for sharing with us !! Your positive thoughts gave me positive energy.